If you live in New Orleans, it’s possible you’ve never heard of Kim Son. It flies under the radar as far as Vietnamese places go and it’s located off the beaten culinary path. If you do know about Kim Son, you know it’s one of the best go-to places for Vietnamese and features one of New Orleans’ most expansive menus. Even Cheesecake Factory would be put to shame by the number of offerings. I only stumbled across Kim Son because one night Pho Tau Bay and Nine Roses happened to be closed. Since then, it’s become my number one spot for Vietnamese. As a bonus, they also have a ton of Chinese dishes if you don’t want Vietnamese. Kim Son has the best pho I’ve ever had, some of the best tofu I’ve ever had, and the salt baked items (shrimp, scallops, lobster, tofu and squid) are out of this world. I can never go without having something salt baked. Usually, it’s the shrimp, but when I feel like splurging, I go for the lobster. The seafood itself is baked (though I think it’s fried) to an amazing crispy texture. 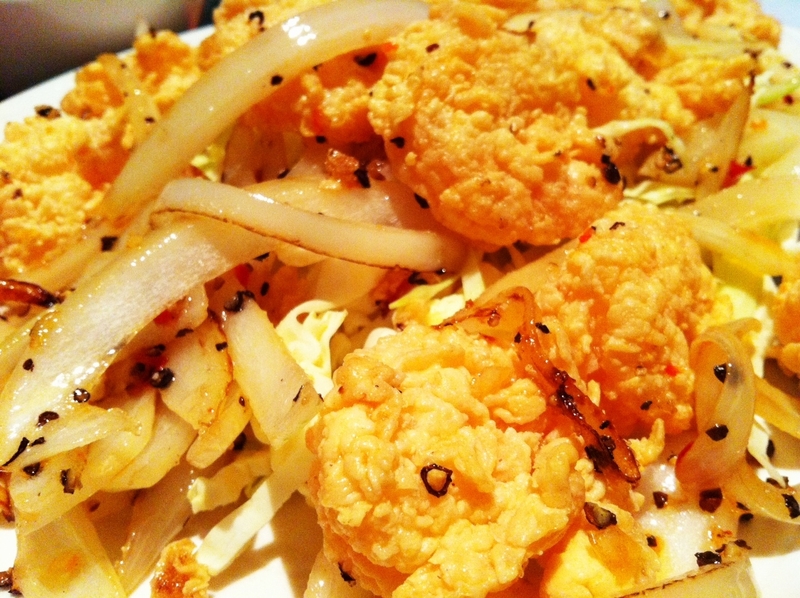 Plus, the sauteed onions with ground black pepper and chili flake send things over the top. 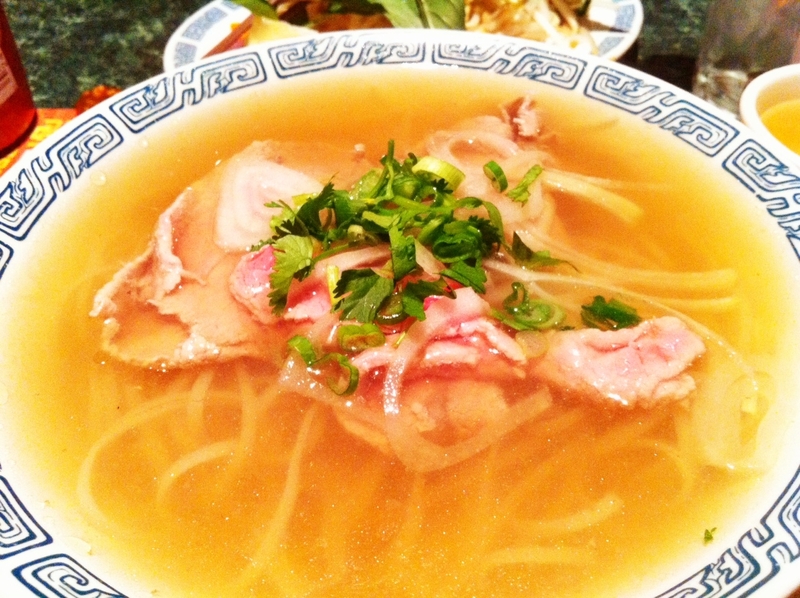 Another favorite of mine is the Pho with Medium Rare Beef Flanks. The beef comes out medium rare, but cooks in the hot broth releasing even more juice into the broth and taking in the broth flavors at the same time. That’s my favorite version, but you can’t go wrong with any of them. The make-your-own beef spring rolls make a great app to share at the table. 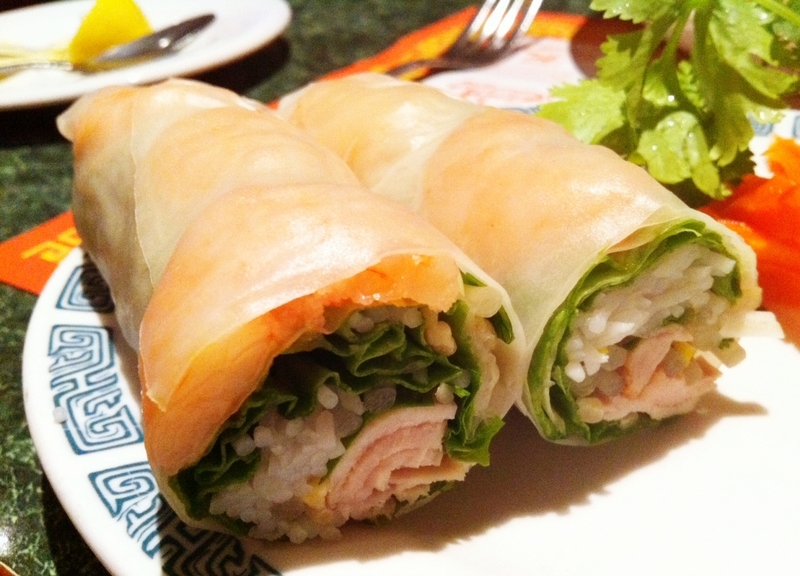 You customize your spring rolls by adding in cucumber, cilantro, lettuce, carrots and other garnishes. You also can’t go wrong with any of the tofu dishes. Try the tofu curry in the clay pot or the tofu with eggplant. Kim Son calls it “bean cake,” but rest assured, it’s tofu. I haven’t had time to make it through the whole menu (that would probably take years), but everything I’ve ever had has been outstanding. It’s consistently fresh, never greasy and always tasty. Other Vietnamese places have great dishes, but none of them can match Kim Son’s overall effort. Kim Son is located 349 Whitney Ave. in Gretna on the Westbank and is open Mon. through Sat. from 11 a.m. to 8:45 p.m. Thanks for the rec- I’ve been wanting to get out to the West Bank to get some Vietnamese food, and haven’t had the chance. Thanks for your comment. Just checked out your blog. Very interested in getting to some of the pop-up places you referenced. You can absolutely link to mine. Hope to run into you dining out somewhere. Enter your email address to follow Po' Boy Livin' Rich and receive notifications of new posts by email. Sign Me Up for Livin' Rich!